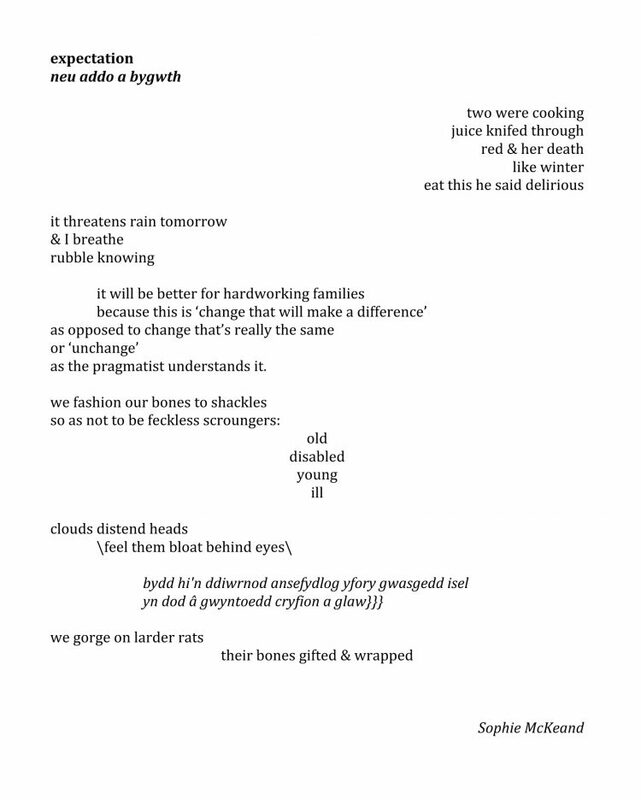 Expectation (neu addo a bygwyth) is one of the political poems from Rebel Sun. The Russian-inspired propaganda artwork by Andy Garside giving the reader the heads-up that left-wing socialist/Marxist/anarchist politics will inform elements of the content. Over a decade ago, when first starting out writing, everything I created was political but after a while I became disillusioned with the entire process and veered off into the relative obscurity of the left field (or forest). The poems in Rebel Sun knit together all of the various elements of experimentation, politics and community I’ve been immersed in over recent years, with a strong focus on (re)connecting with the natural world. I am as much a part of the north Wales landscape as any oak or wave or starling and Rebel Sun is acknowledgement of that. Explaining the exact nature of a poem feels too didactic, but this collection is absolutely about taking a stand politically. I see the after-effects of colonialism as a patriarchal dish still being force-fed to the land and her people in Wales. But after a long winter, maybe spring is coming. I am saying there is a storm brewing in Wales and have used Cymraeg to illustrate that, perhaps, this is where the uprising begins. The sub-heading: neu addo a bygwth – or promises and threats, is referencing the many ways the Welsh population have been marginalised by a political system presided over by a Westminster government who actively seem to work against the best interests of the majority of people in Wales. Those in power make lavish gifts of things we neither want, or need (larder rats), and manage our expectations by reinforcing the idea that Wales could not survive alone. Rebel Sun also references political and academic figures Lewis Valentine and Leonard Goldstein who held strong left wing beliefs even when it cost them dearly. I have a deep admiration for anybody willing to do this in order to create a better world for everybody, not just themselves, and wanted to pay homage to the fact that their legacy lives on long after they have folded into earth. 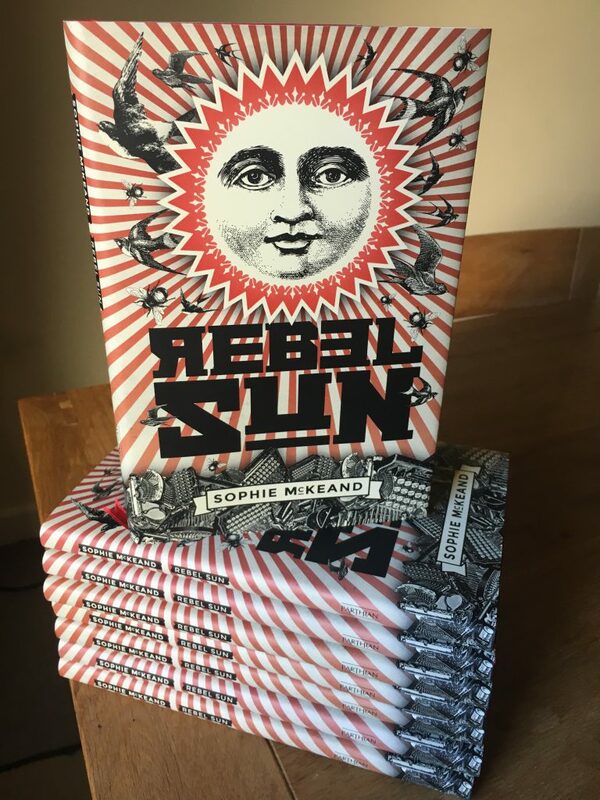 Rebel Sun is out now with Parthian Books.